The online “Books” column of Il Post has published a brand new installment in the mythological saga of the Italian publisher, Edizioni E/O and its New York subsidiary, Europa Editions. Whether we need another encomium to the Sandro Ferri and Sandra Ozzola, the co-founders and owners of both publishing houses, and their dazzling “rags-to-riches” story is debatable. What we certainly don’t need is another article that could have been written by E/O’s publicist and which completely ignores the harmful, not to say hostile, stance Europa Editions has taken toward translators. Edizioni E/O will close out 2015 with sales of 20 million euros [approximately $21.4 million], more than double its 2014 sales. Of that figure, some 12 million euros come from sales of books in Italian in Italy, but the remainder reflect earnings, in Great Britain and the United States, by Europa Editions, the New York-based publisher founded by E/O in 2005…. E/O’s success abroad, however, is due as well to the rather unusual choices E/O has made over the years and by an editorial approach that may seem traditional in some ways but, in others, is unique in the world….. Today, E/O’s economic clout is similar to that of large Italian publishing houses like Adelphi and Sellerio. E/O employs 25 in Italy and 15 in the United States with a production schedule to match: there are some fifty new releases each year in Italy and around thirty in the U.S. But those facts lead to a couple of important conclusions. First, all that “clout” means that Europa Editions could stop claiming to be poverty-stricken each time a translator asks for a raise of a euro a page and could even knock off using the excuse of being a “small publisher” whenever a translator has the nerve to oppose Europa’s ridiculously low rates for translations (which Europa hasn’t increased for years, according to translators who’ve attempted to negotiate with them). Good. So Mr. Ferri and Ms. Ozzola could spend more on their translators, too. Success is a wonderful thing, especially for a publisher of translations in English. Readers and translators should be asking themselves, though, whether E/O and Europa are counting on continuing to finance that success through the exploitation of the people on whose labor they depend. 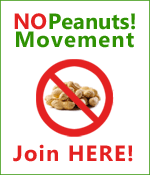 This entry was posted in CopyRight-CopyWrong, Notes from No Peanuts! and tagged edizioni e/o, Europa Editions, Prix Goncourt, Sandra Ozzola, Sandro Ferri. Bookmark the permalink.